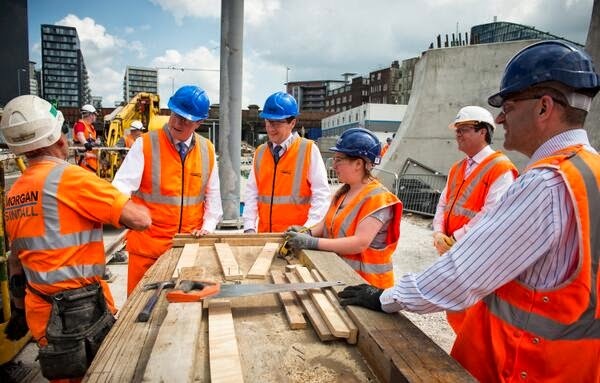 Comment: George Osborne's "Northern Powerhouse"
Image courtesy of @Number10gov via Twitter. George Osborne’s proposal to connect the major cities in the M62 corridor with a High-Speed rail link (HS3) is a step in the right direction for the country. The Chancellor hopes this will help create a “Northern Powerhouse” to combat the economic power of London. The coalition has failed to bring more infrastructure projects to northern England, and George Osborne’s abolition of the Regional Development Agencies (RDAs) in his first budget only decreased that investment. The RDAs were introduced by John Prescott as a precursor to elected assemblies in the English regions; this idea failed when 77% of North-East voters rejected the idea in a referendum in 2004. While the assemblies were a poorly executed idea, the RDAs were not. They helped fund new projects in the English regions, such as the construction of MediaCityUK in Salford and the Eden Project in Cornwall, amongst others. Despite this, the coalition government has gradually improved the situation in the North of England. The granting of City Deals to Greater Manchester, Liverpool, Leeds, Sheffield and Hull will provide massive investments in infrastructure in the M62 corridor. As well as this, the Northern Hub, a massive rail electrification project based around a newly restored Manchester Victoria station, is also well underway. This will establish a long mooted connection between Manchester's two main stations, Victoria and Piccadilly, as well as electrifying lines between Manchester, Liverpool and Leeds to reduce journey times and increase capacity. Manchester is widely considered England’s potential second city, but it is not big enough to counterbalance London’s economic power. This means business is still drawn to South-East instead of the Northern cities. House prices and rents are still too high in London, with many struggling with the cost of living, even on salaries that would sustain them in the North. The one-sided nature of London’s development is dangerous for the country, as it leaves other cities starved of development. 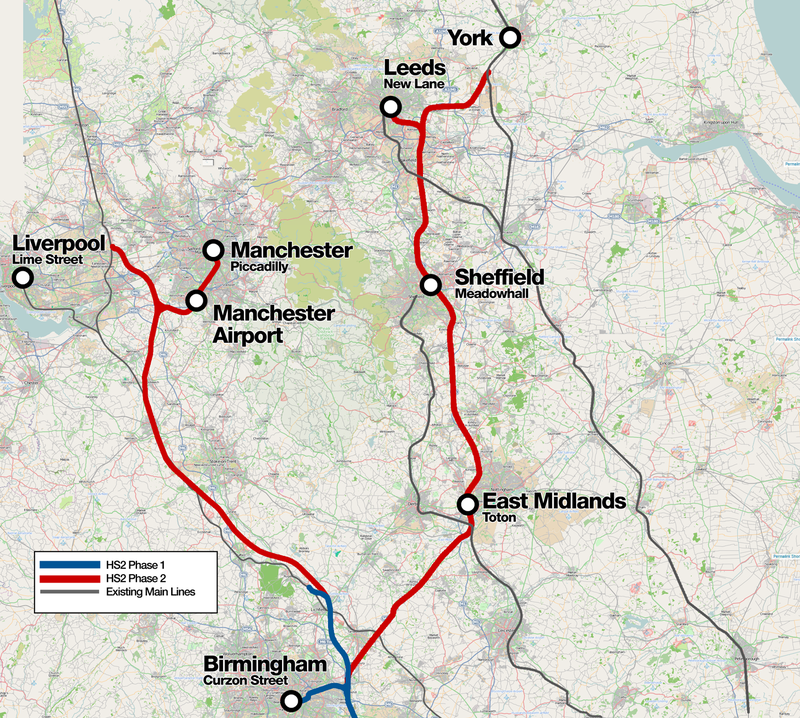 This is why George Osborne’s speech is so important; the intention to create a “Northern Powerhouse” connecting Manchester and Leeds with a High-Speed rail link (HS3) will help the Northern cities rival the economic power of London. This idea is eerily similar to John Prescott’s idea of a “super city” in the North where people could “live in Hull, commute to Liverpool, shop in Leeds and go out in Manchester in one day”, and although it was farfetched it shows the issue isn’t a new one and is only getting worse as London expands. This proposal alone, however, is not enough to make the “Northern Powerhouse” a reality. First HS2 needs to be completed as well. All three major political parties support the high-speed rail link between London, Birmingham, Manchester and Leeds, but construction has yet to begin or to be fully approved by parliament. Backbenchers, especially in the Conservative party, are worried about the impact this will have on their constituencies; Labour’s support for the idea appears to be wavering; and politicians are worried that costs could spiral out of control. Several high profile politicians, including London mayor Boris Johnson, UKIP leader Nigel Farage and former Chancellor Alistair Darling, oppose the plan. These objections are unimportant; the ability to travel from London to Manchester in an hour is vital to creating this powerhouse. Furthermore, the proposal by HS2 Chairman Sir David Higgins to extend Phase 1 from Birmingham to Crewe would provide faster trains to Manchester six years earlier, and this idea has won support from the Chancellor as well. This would ensure greater development sooner in the Northern cities. Second, the introduction of elected “metro mayors” in the city regions needs to be looked at again; the mayoral elections for the ten biggest UK cities were badly thought out, as they restricted the role to the very small city limits. This was shown by the rejection of the idea in nine of the cities, including Manchester and Leeds, and the troubles the mayor of Bristol is experiencing with infrastructure projects. The better model is that of Greater London’s mayor, covering a vast city region. This model has provided greater development through joined up thinking and similar positions in Merseyside, Greater Manchester and West Yorkshire (Leeds-Bradford) would encourage greater infrastructure investment. Failing this, more cooperation between councils is vital to the development of these cities. The model to aspire to is that of Greater Manchester Combined Authority (GMCA), which allows the ten metropolitan boroughs to work together on issues that affect them all. Their major successes have been the rapid expansion of the Manchester Metrolink tram system and the development of a growth and planning strategy for the next six years. Finally, the UK severely lacks airport capacity, and the expansion of Heathrow is a contentious issue, with still no decision made on the best way forward. Boris Johnson champions a new airport in the Thames Estuary and Gatwick airport has put itself forward for development. However, surely the best solution to help create a “Northern Powerhouse” is the expansion of the Northern airports, particularly Manchester; once HS2 is completed, the distance between London and Manchester airport would be an hour. The Chancellor’s proposals are realistic and necessary; combined with other proposals the HS3 link could stimulate the Northern cities to help counterbalance London’s economic power. Some argue that this is simply an attempt by the Conservatives to win votes in Northern England and that similar proposals have fallen by the way side. We cannot allow this to happen - the centralised nature of London’s economic power is dangerous for the country, and if the idea is delayed any longer, the Northern cities may never catch up.